The Catalina Foothills "Tucson Foothills" Community is a beautiful Arizona community North of greater Tucson. Nestled against the Catalina Mountains, Arizona homes in the Tucson Foothills Community can offer spectacular mountain and city lights views. 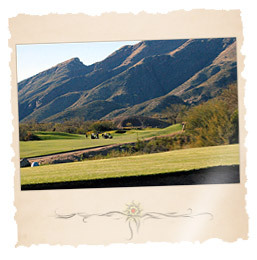 The Tucson Catalina Foothills are an outdoor paradise with challenging Arizona golf courses, miles of hiking & biking trails, and perfect weather for much of the year. The Tucson Foothills Arizona Community is to upscale shopping, restaurants and cultural events, living in the Tucson Foothills makes living the Tucson Arizona lifestyle easy. The Tucson Foothills Community offers a variety of housing from Arizona luxury estates, Arizona homes, Arizona townhomes and even Arizona condos. Buying an Arizona luxury home or condo in Tucson's Catalina Foothills makes sense for a number of reasons, if it's your Arizona home, than you can own a piece of the Foothills for a very reasonable price (condos start in the low to mid $100,000's). Tucson Foothills Arizona Community homes also make a lot of sense for the person who wants the well located and "in demand" school district the Catalina Foothills brings to the Tucson valley. Catalina Foothills Arizona Community lies in a picturesque setting in the Santa Catalina Mountains on Tucson's north side. "The Foothills" are composed of many ridges and outcroppings on a gently rising slope that rises from the City of Tucson to the base of the majestic Catalina Mountains. Nearly 70,000 residents call this portion of Pima County home. This area is a quickly growing portion of Tucson, which is one of the fastest-growing and most vibrant cities in the Southwestern United States. Over the last twenty years, the Catalina Foothills Arizona Community has grown from a sparsely populated desert haven for affluent retirees to a thriving suburban Arizona community. As the Catalina Foothills Community has grown, it has also become more diverse, both economically and ethnically. One of the many things that draw residents to this area is the strong schools that are a part of the Catalina Foothills School District 16. Catalina Foothills Arizona Community residents value education, expect excellence, and have a tradition of strong support for their schools. Catalina Foothills Community's other great selling point is the Arizona weather, which features more than 300 days of sunshine each year. The average annual rainfall is 12 inches and the average high temperature is 82 degrees. The people are friendly and the pace of life is just right, making Catalina Foothills Arizona Community into one of the nation's best areas to live in. The most desirable Arizona real estate in Tucson is located in the Catalina Foothills Arizona Community. The majestic Catalina Mountains surround the North and Northeast sections of Tucson. Arizona condos start in the low $100,000's; Arizona townhouses start in the $200,000's, and Arizona single family homes start in the $300,000's. The Catalina Foothills Arizona Community views are unsurpassed with Catalina Mountain views in the back and sparkling lights of the city in the front. If you're looking for the best Arizona investment in Tucson real estate, Catalina Foothills Community is the place to buy. It is truly a place where you can enjoy life. The Catalina Foothills Arizona Community area also has the highest appreciation in all of Tucson. The tools to begin your new Catalina Foothills Community Arizona homes search are right at your fingertips! To get started, simply click on the quick link above or browse Arizona new construction homes and houses for sale using the links to the right. 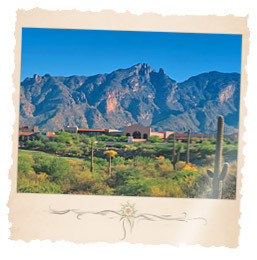 Find a new Catalina Foothills Community Arizona home for sale or locate a home builder in Arizona on MyOwnArizona.com. Our MyOwnArizona™ Catalina Foothills Community real estate guide showcases new construction homes, townhomes, condos and new Arizona communities by new home builders throughout the State of Arizona. Find new homes by map, desired home price or by browsing new developments and floor plans by lifestyle or home type. All home listings include home price, location and money saving incentive offers to make buying a new Catalina Foothills Arizona Community home more affordable. All houses for sale listed include floor plans, pictures and many offer tours of the new homes and communities. 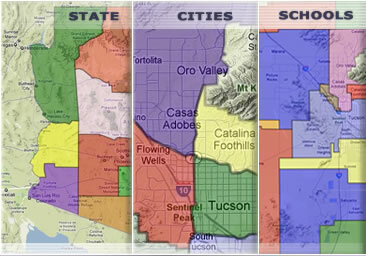 Contact us at: info@MyOwnArizona.com for Arizona & Catalina Foothills Community home prices in Tucson, AZ real estate.